The jeepney sets out at about 8:15am. It looks like a battered old short-bus, but instead of back seats, it has two long bench seats along the sides, and an open back and sides. If there is no air conditioning, this is the most comfortable way to travel. Three counsellors. One of whom is an MD, the other two have an undergraduate degree in psychology. 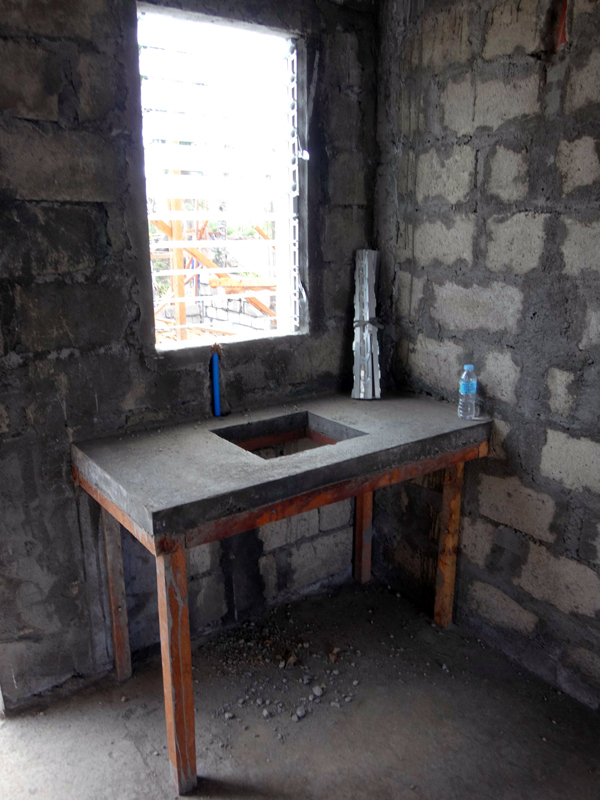 All have had previous training with another MSF project in the Philippines. We’re constantly bantering and discussing cases along the way. 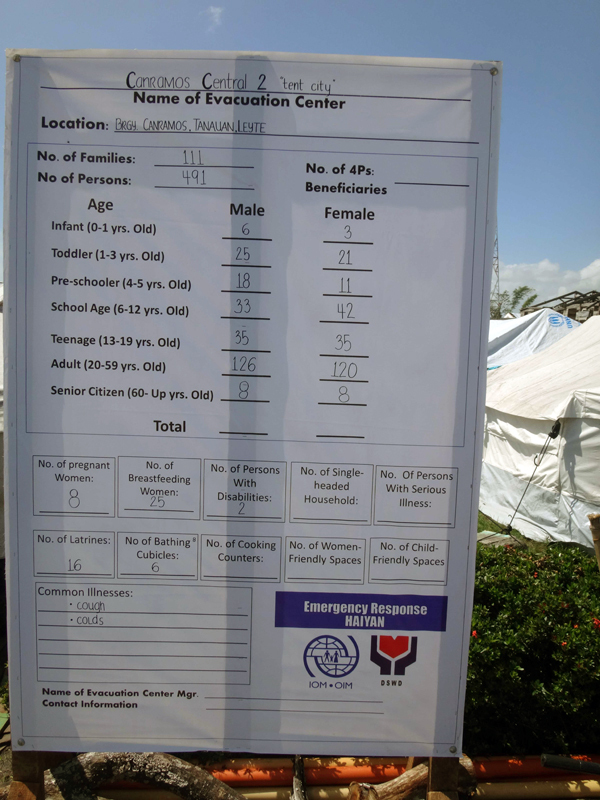 First we attend Tanauan Central School Evacuation Centre. 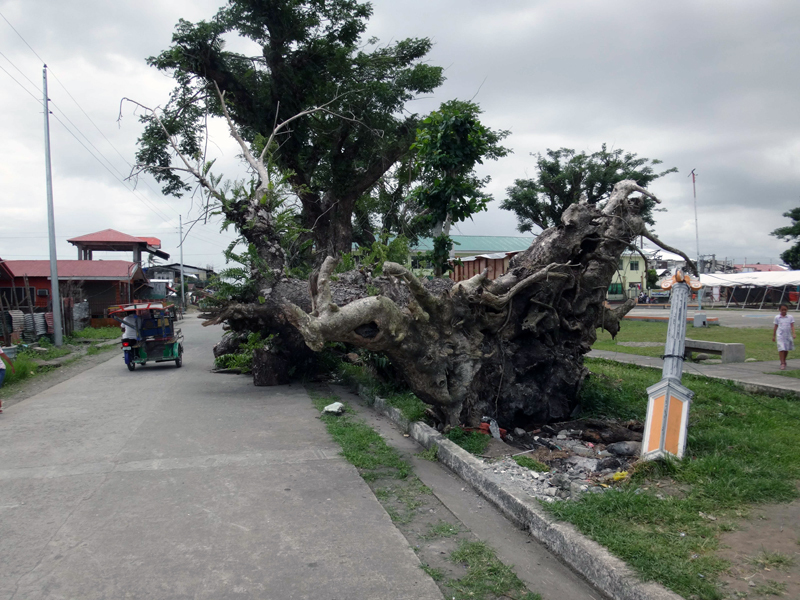 There had been a planned time for follow-up sessions with some persons identified as having difficulty adjusting to post-typhoon conditions, whether above the threshold for a diagnosis of mental illness or not. The tent city locale was empty. Almost completely empty, in that there were even no kids about, which is a rare thing out here. 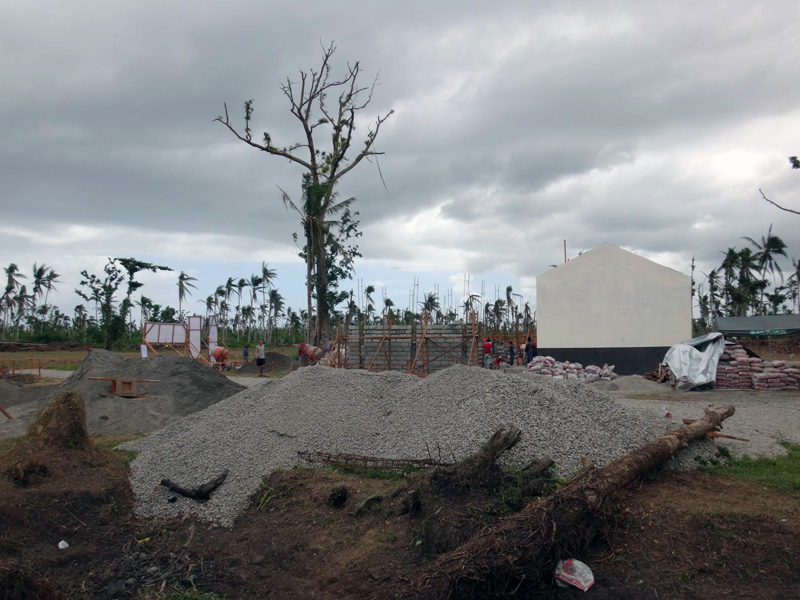 Turns out that the whole camp had gone to a place called Pago to work on the more permanent structures to where they would be moving eventually. We moved on to a small displaced persons camp, mostly made of up tents. We met with the Captain of the local region, and he warmly greeted us, but advised that there was a food distribution going on, which clearly took priority over the planned psychoeducation session that we had arranged. 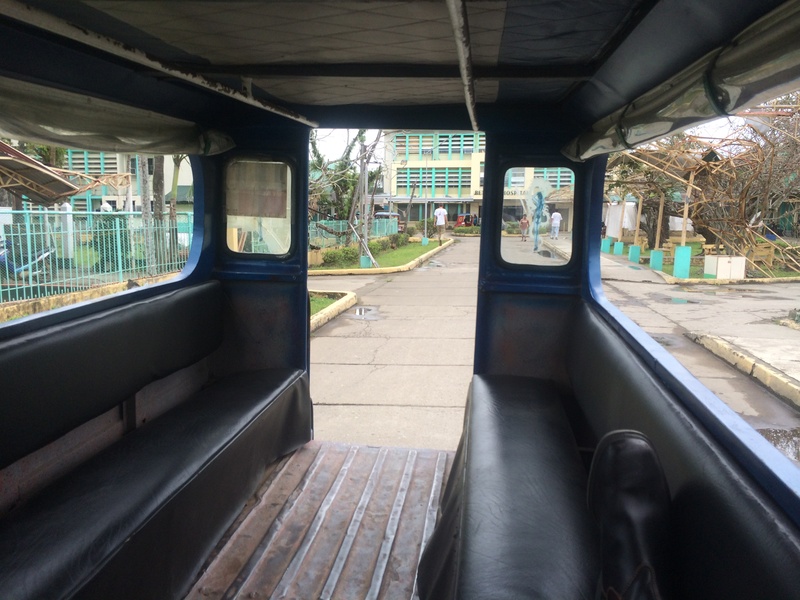 We rescheduled for that afternoon, and hopped in the Jeepney for the next stop. The Assumption evacuation centre was similarly empty. 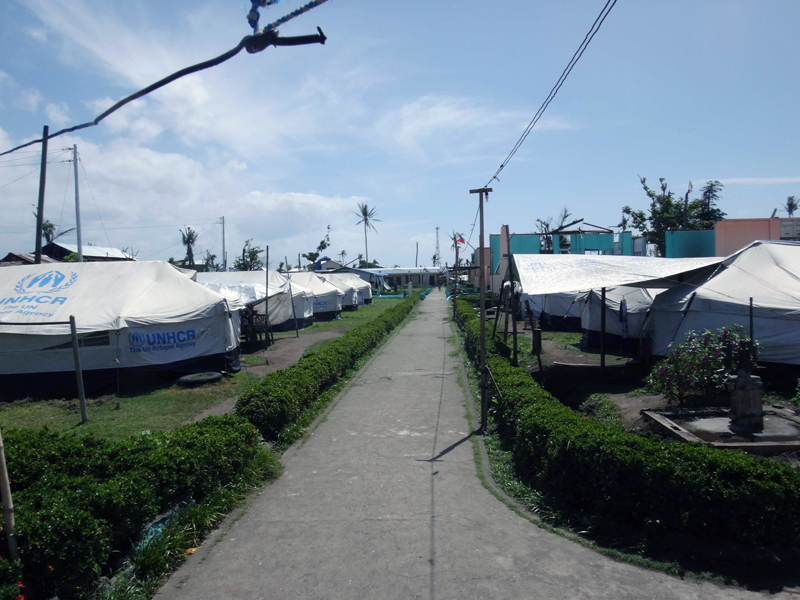 Again, the inhabitants had gone to Pago to work on the housing structures there. So we decided to do the most expedient thing and headed to Pago. There was a single concrete structure erected, and the start of many others. Building materials were stacked up in neat, organized piles. Large groups of people were working on different projects: moving wood, cleaning metal beams, concrete mixing, brick-laying, etc. The MSF counsellors split up to find the persons with whom they had follow-up sessions planned, and they retreated under the shade of a tree to do their work. If possible, returning to work is almost always a good thing. It aids with depressive and anxious symptoms, of which post-traumatic distress is included. Work tends to be social and provides a sense of purpose, worth, and community-building. The housing units are provided in order of need, and there is an equation that takes into account the size of the family, number of children, destruction of property, distance from shoreline, and other factors. My small poll suggested that most people thought that this was fair, and that they wanted to move in as soon as possible. Next stop lunch. We ate, discussed the cases, and planned the afternoon. Fish, rice, some meat stew that might have been pork. Like most prepared food here, there is too much sugar and salt. The fish was fantastic. The lunch room was a small open-air establishment that had been built mainly since the typhoon. On one side was the road with cars driving by, and on all other sides the visible debris from the storm. It had been arranged into piles of metal sheeting, wood that seemed to come from docks, and broken cars and other forms of transportation that had been destroyed. 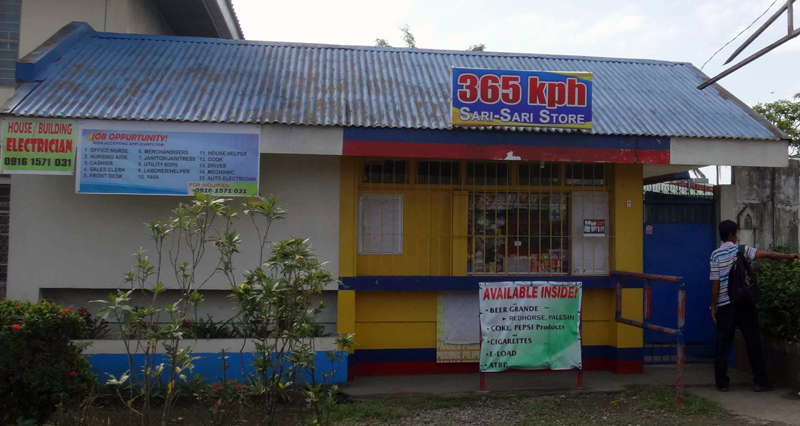 The region, Bislig, is one that was hard-hit, and is also being targeted by our Outreach team. We then returned to Magay for that psychoeducation centre. A bell was rung and the milling-about crowd grew from 20 to over 100 persons. It was a lively group. Many mothers holding babies, some who had been born since the storm. The Barangay Captain, a white-haired septuagenarian fellow who wore crisp jeans and a jean-shirt, curiously unaffected by the blistering heat and humidity, introduced our team. The counsellors launched into their routine, which was in the local dialect of Tagalog, called Waray Waray. One of the counsellors translated some of the on-goings, but more than anything I was fixed by the cadence and energy of the group. It was fast, interactive, and thoroughly engaging to the participants. The group called out answers to questions, made comments that struck home to easy laughter, and asked for clarification if the need arose. It was warm and intimate. I want to write that it had this tenor “despite” the setting, which was a slightly shaded area, 20 or so seats, with the rest of the people standing. But of course, it had almost everything to do with the setting. Psychoeducation sessions are necessary here. It is very common to have people brought to the hospital by family for non-specific or unexplained medical symptoms such as bodily aches, irritability, sleep problems, and decreased functioning in the social, family or work sphere. No mention of sadness and anxiety is made, but on inquiry, there is significant concern in these areas. There are also more cases than I would have suspected involving persons who have been psychotic for years, and were never brought to the attention of a mental health professional. Some teaching of common symptoms of mental illness, and the availability of free MSF services, is a good thing. Of course, one wants to be aware of local ways of expressing emotions and behaviours associated with illness (idioms of distress and styles of reasoning), as we don’t want to prime people how to “properly” exhibit illness. But it seems that even moderate to severe symptoms may go unrecognized and unattended to by available health resources. There is much more to say on this topic, but I’ll leave it there for now. Something interesting happened. 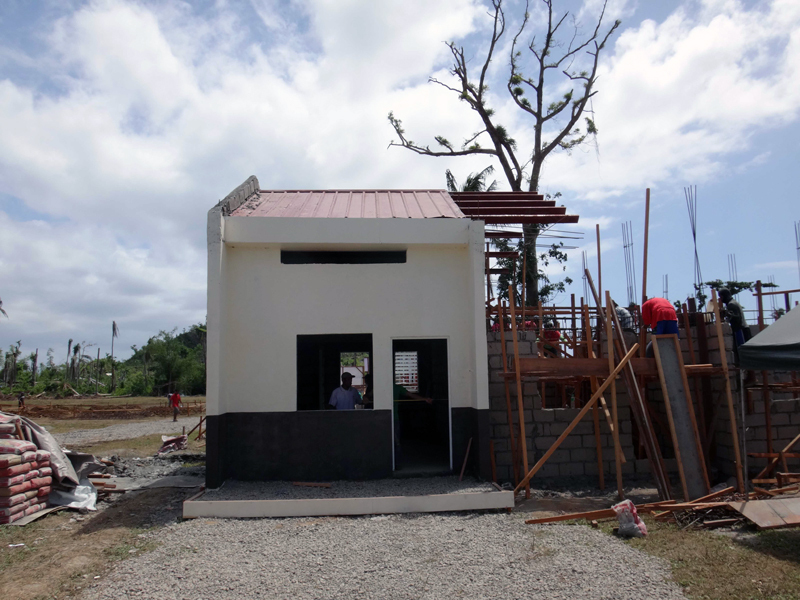 At one moment during the 20-minute session, one of the counsellors asked the group if anyone had a family member or someone close to them who was killed by Typhoon Yolanda. There were many hands that went up. Then someone made a comment that got everyone laughing, and some were looking at a 60ish year-old woman who was in the front row. She laughed, turned a bit red from the attention, and then started to cry. She covered her face, but motioned that she was ok, and for the talk to continue. The counsellor went to stand beside her, put a hand on her shoulder, as had several others who were sitting beside her or standing near her. The counsellor continued the session, and after a few minutes moved back to a central location. When the session was over, the counsellor sat down beside her and they spoke for 15 minutes or so. There were about three or four women who had pulled up chairs to take part in the discussion. It was explained to me afterwards what happened. The woman’s name was the international call-sign name of the storm, and her husband died in the typhoon. 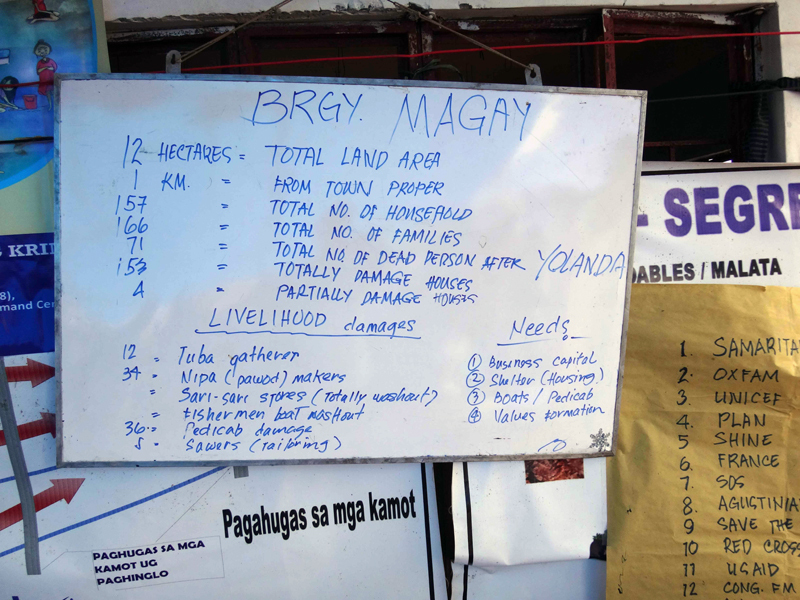 When the group was asked if anyone was killed by “Yolanda,” someone joked that she had killed her husband. I double-checked that I heard that correctly. It’s hard to imagine a large setting in which humour like this wouldn't be off-side back home in Canada. I work at a Toronto hospital called the Centre for Addiction and Mental Health (CAMH). It’s one of the largest mental health institutions in the country. I could not even fathom humour such as this being mobilized in this way, but I started to wonder what it would take. I’m still wondering. Here in Tacloban city and environs, in this most remarkable of places, humour is used with great deftness in the integration of psychologically traumatic events in a coherent and tolerable narrative. This is healing behaviour. It struck me that this was a shining example of the concept of resiliency.